Copyright: Copyright of the materials submitted for this contest remains with the respective entrants. However, each entrant grants the EEA the right to use the submitted materials in its environmental communication crediting the copyright owners. 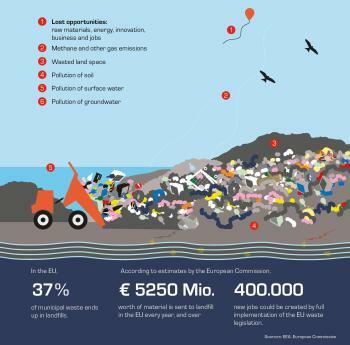 The European Environment Agency (EEA) invites you to share your views about waste in Europe. The winner of each category (photo, video, cartoons) will be awarded a cash prize of EUR 500. In addition, a Youth Prize of EUR 500 will be awarded to the winning entry, selected among those submitted by persons aged between 18 and 24 (born in calendar years 1995-1989) to any of the competition categories. All the finalists will be put forward for the People’s Choice Award and may also feature in future digital and print material from the EEA and its European partners. The announcement of the winners will be made 16 December 2013. Image requirements: lover 2000px on the longest side; uploaded to an online sharing site, such as YouTube, Vimeo, Flickr, Shutterfly, Snapfish or Photobucket.